For years we’ve talked about the “locked-down desktop” as a major goal of desktop management – whether you’re using virtual or physical desktops. 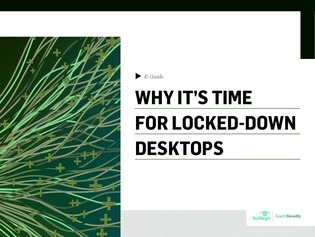 The locked-down desktop means Windows desktops are fully secured and locked down. But is this an approach you should consider? Access this exclusive e-guide to take a look at why IT teams are locking down desktops in order to restrict user-installed apps (UIAs). You’ll also explore the benefits locked-down desktops can have on IT departments.